Play with different colors and designs to update your home. Enhance your home's exterior with a superior paint job. Change up the look of your home with new cabinets and lighting. Are you tired of your home's conventional look? You don't have to live in a home you don't like. Turn to E-Solutions Contracting Alliance LLC to add unique features to your home. We offer interior & exterior painting services in Harrisburg, PA. When you work with us, you'll find painters who will cover your walls and ceilings with vibrant colors and creative patterns. We also offer remodeling, handyman and both commercial & residential cleaning services. You can always get in touch with us when you need. While working, we'll share our knowledge so you'll learn more about the remodeling process. Contact us now at 717-370-8876 to work with trusted painting contractors in Harrisburg, PA.
Would recommend E-Solutions every time. We needs to replace our current contractor for our business needs. We found E-Solutions on line. Victor - owner came out to do our quote. He was very friendly and knowledgeable. We had our metal staircase off our deck painted, they were very careful not to get paint anywhere. Our staircase looks brand new. E-Solutions did a excellent job for us and we are retaining them for our current and upcoming projects. We appreciate all the hard work his crew did for us. We would recommend Victor and E-Solutions for any project you may have. We are 100% pleased! My office needed some of our walls painted very quickly, so I found Esolutions online, and gave them a call. The CEO, Victor answered and came in the same day to see what needed done and give an estimate. The following day a painter came in, finished the entire job BEAUTIFULLY and Victor came in the same day once the painting was done to check the work and make sure we were satisfied. They are accommodating, neat, fast, and friendly! I would recommend this company to anyone in need of any type of home repair, painting, or cleaning services. I couldn't be more happy with Victor and his team! We originally hired esolutions to do what seemed as an easy 1 week job, that ended up not be so easy and took nearly 10 working days to complete. Our guy worked on our house until later hours in the evening, and never left a mess for me to deal with. He worked hard, extremely hard. We also hired him to do another small job at our house while they were there. They completed both jobs beyond satisfaction. In general, I can be extremely hard to please, but I couldn't say enough good about these guys. Victor and his team are super friendly, professional, and informative, and will do the job right, no matter how long it takes. The fees never change from the quoted price. The fees are by far more reasonable to any other contractor we had look at the job we needed done. I am beyond happy and impressed with esolutions. We already have other projects in mind for them in the near future! This is the second time we hired E-Solutions to do work at our home. We found the radon levels in our home to be quite excessive which required many different tasks to accomplish remediation. Not only was an active air extraction system put into place, the basement walls (in our laundry room) were sanded and resealed, water-proof dry wall was installed on the ceiling and the crawl space is now completely sealed with concrete. Each of these jobs created a lot of dust but E-Solutions did an excellent job is minimizing the amount of dust that escaped the work area. Before each stage of the project began Victor explained exactly what I could expect regarding the start time and what was going to be accomplished each day. On most days he stopped at our home to see the progress and to explain what was going to happen next. Everyone we encountered fro E-Solutions was polite and informative, we always knew exactly what to expect.. Additionally, the estimated cost of the project (before materials) did not change from Day 1. I will have E-Solutions work at my home again. We had a great experience with Victor at E-Solutions. He made sure to communicate clearly about the work he was doing and the pricing we were looking at. The cost was very fair and the work came out great. We look forward to working with E-Solutions again in the future. Full-service remodeling help-when you're ready to update your home, our phone number is the only one you need. We remodel kitchens and bathrooms, paint interior and exterior walls and handle plumbing and electrical work. We even offer home cleaning services. Top-notch customer service-we listen to your needs and design your space to suit your vision. You'll work with our contractor one-on-one during the course of your project. All of our work includes a one-year warranty, so you never have to worry about the quality of our craftsmanship. Reliable communication-we'll keep you in the loop during your renovation from beginning to end. Even if we're simply painting a room in your home, we'll make sure that the end result is exactly what you want. 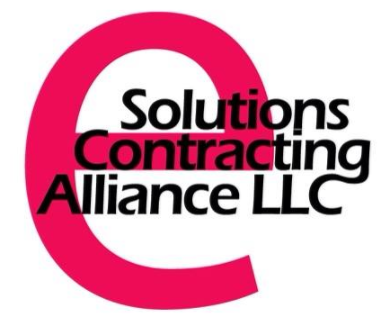 Get in touch with E-Solutions Contracting Alliance today if you need home remodeling services in Harrisburg, Pennsylvania.